Here at Android Police, us writers are encouraged not to use the word "finally" in titles, as it can manufacture unnecessary excitement for something that not a lot of people may care about. However, for something as miraculous as this, there really is no better word to use. 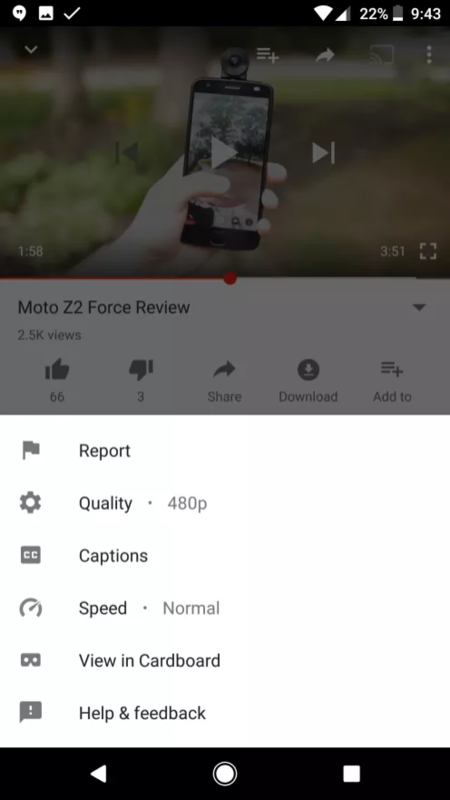 Google has at long last begun testing speed controls in the YouTube Android app, something that people have been wanting for years. It's about time. Our friends over at 9to5Google seem to be the first ones to have spotted this, as it looks like this is currently a rather limited server-side test. This new option can be seen by tapping on the three-dot menu on the top right. In between "Captions" and "View in Cardboard" sits "Speed," with a speedometer as its icon. 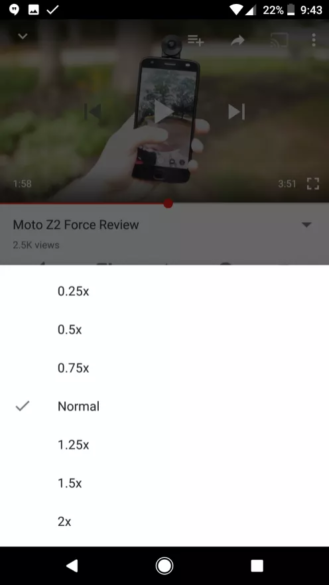 Click that, and you'll get to choose from all the speeds (0.25x to 2x) that you can choose from via YouTube on desktop. The feature was discovered on a Pixel with YouTube v12.29.57, but I couldn't replicate the results on my own Pixel with the same YouTube version, or any other devices. Although this is clearly a server-side test, many of YouTube's tests do make it to production and I see no reason why Google would choose not to make this public. Let us know if you guys are seeing this.